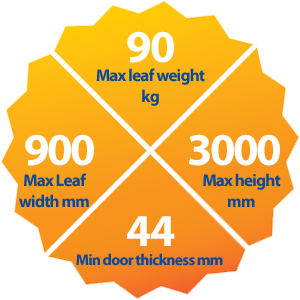 NOTE: SYSTEM RECENTLY UPGRADED FROM 70kg TO 90kg PER LEAF. Bottom Rolling folding sliding patio door hardware. Marine grade anodised aluminium Tracks, Hinges, Bolts and Handles. Hinges have 316 stainless steel pins. Bottom Rollers have 316 stainless steel wheels. This product is sold in kits that come complete with tracks. Please select required kits from below. Components are also available individually.